Here I am, emerging from the woodwork for a rare appearance to provide those of you who are stumped for a wine-related Christmas gift with a suggestion. 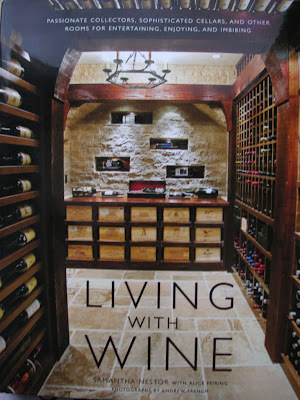 Living With Wine: Passionate Collectors, Sophisticated Cellars, and Other Rooms for Entertaining, Enjoying and Imbibing is an elegant coffee table book authored by Samantha Nestor and Alice Feiring. Ms. Feiring's name may have rung a bell with many of you for her outspoken first work, The Battle For Wine and Love: or How I Saved the World From Parkerization. As of this writing, I see the book is the 24,799th best-selling book on Amazon.com. Maybe after hearing about it here, the book might move up a few notches. Before I go on, let me say that I did receive this book as a semi-solicited sample. That is, when the publisher contacted me via this blog and asked if I would be interested in obtaining a review copy, I said sure, thank you very much! I would rather get wine-related items instead of wine anyway, unless it happens to be a sample from Leroy or DRC or Stony Hill or someone like that which of course if I ever did, would mean pigs are flying. What arrived is an elegant, heavy volume featuring wine cellars of various passionate collectors, thirty in all, with pictures and text describing the cellars, construction and contents. They range from grand to relatively compact; those beyond the budget of perhaps 99% of us, to those that might provide the rest of us 99% with ideas of what can be done within a limited space in one's living quarters. Like I said, this is a coffee table-type book. 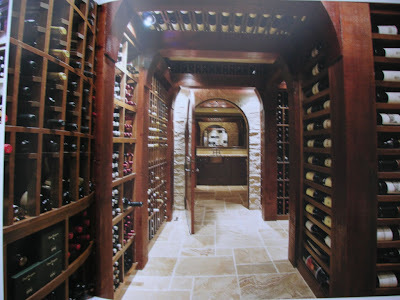 It's meant for the person who can appreciate the joys of having an extensive (or even not-so-extensive) cellar, something beyond wine refrigerators. There are plenty of gorgeous pictures complemented by well-written, easy-to-read text on the design and collection philosophies of the owners. The retail price of Living With Wine is $75.00 but you can purchase it from Amazon for $47.25. Now, would I purchase this book for myself? Honestly, no. This is the kind of book you buy for an enophile when you want to get him or her something really nice besides a bottle of wine. So while I wouldn't buy this for myself, I would buy it as a gift. It's a gorgeous book that I feel is sure to please a wine enthusiast. Please excuse the picture quality - I didn't want to use a flash and have a glare appear on the pages, but it also resulted in the pages not looking their best. The original photos in the book are first rate even if mine aren't..
Hello I'm Here For a Moment! I'm making one of my now infrequent appearances just to wave at you and let you know I am still here and enjoying a glass of wine as always even though I am not writing to tell you about it. But today I am.. I just feel like writing, and luckily it is about an enjoyable bottle I have been drinking over the past four nights. Tonight is the last 6 oz, sigh. The wine is (was) the 2004 Murgatroyd from Twisted Oak Winery. I poured 1/4 of the bottle each into three splits for subsequent nights and sampled the remaining 1/4. That first quarter seemed rough and also on the high side alcohol-wise. Lots of fruit, but hot and with a good load of tannins. On the remaining nights I drank it from a Riedel Sommelier Bordeaux glass (first night was from a Montrachet glass, which was probably a mistake) and gave it plenty of air time. 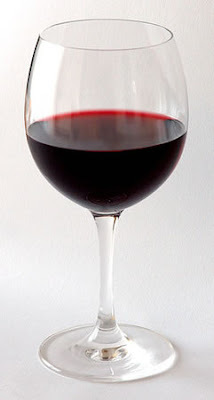 That helped a lot because from then to the end, I had a nice, smooth wine. Lots of raspberry and black fruits that had a slightly tart cranberry edge to them to keep things interesting. The tannins were much more subdued and it had a nice balance of acidity. Anyway, just wanted to do a bit of writing tonight and let you know about the Murgatroyd. Now I will exit, stage left..
As is obvious from a quick scan of my site, I hardly do any sort of updating here. I still have a glass of wine per night (which equates to 7/4 wine per week since each glass is 1/4 of a bottle) but I haven't felt particularly motivated to do any wine-related writing. In fact I have not felt motivated whatsoever to write about things wine-ish. I haven't gone surfing around wine-related sites either. I don't even know if Gary V still looks the same or if he has branched out into reviewing books or whatever. But today I happened to glance at the Alltop page for wine reviews and noticed that I am still on their list of sites. Not only that, but I am sitting in a respectable 24th position! I have no idea how they rank their sites but I do know there are plenty mo' better ones than mine that are down below yet there I am, in the top 25. I guess it must be due to my legendary reputation among the wine blog world. Who can forget such memorable posts as the ones I did before I flaked onto other things, such as.. well, I don't remember right now but they were pretty clever back in their day. Seeing that Alltop page gave me a chuckle and inspired me to write a post for today. And also inspired me to post the YouTube below (I know it's a repeat but what the heck.. it suits the mood). Those very few of you who subscribe to this blog - getting a notification of a new post from me must have been like a flickering signal from a ham radio.. could it be? Is it a real post or just interference caused by weather balloons? Zut alors! See you in another lengthy length of time! Sorry that I haven't posted in a while, but I came down with a case of the Wine Flu. Joe Biden didn't make things any better, flapping his jaws on national television telling everyone not to drink wine in any enclosed area, and that people shouldn't even take wine to school with them. Obama and his cohorts had to move quickly to do their damage control on him before the angry winemaker's lobby started blasting back at our gregarious number two man. Now the expression on some of your faces indicates confusion. Monkuwino, you're talking about Wine Flu??? That's the first I've heard of that. I thought it was Swine Flu, not Wine Flu. That's understandable but the confusion really comes from the White House, once again. The official announcement of this pandepidemicamonium came from an aide who had been listening to George Gershwin tunes on his Ipod right before he spoke to the public. So caught up in one of Gershwin's more popular recordings, "S'Wonderful," he started adding an "S" in front of other words and as you can now see, "Wine Flu" came out of his mouth as "S'Wine Flu." Too embarrassed to admit his mistake, the aide just left it alone and let the press run with it. Public service announcement: to protect yourself from this disease, just wear a gauze mask over your nose and mouth when you drink any wine until you get a signal from the government that the coast is clear. 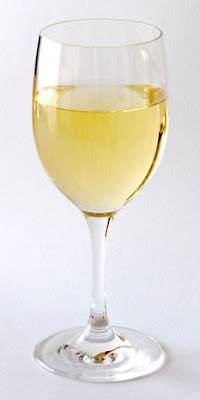 This also has the added benefit that you will not need to decant your wine beforehand. So today is Pink Friday - the day everyone is supposed to pop that cork on a bottle of White Zinfandel (should the "W" in White be capitalized? Should there be no caps as an indication that white zin gets and deserves no respect?) as a show of solidarity that even in such turbulent times of our economy, we can still uncork our wine and drink it, too. 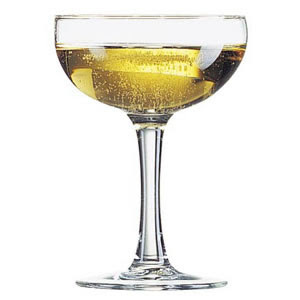 Did you pop that cork or are you going to pop that cork? Moving on to other things - please take the poll on the right --oops, now it is LEFT-- side of this page. Finally, I notice that after my long absence from posting, my site traffic appears to have gone down after my return this week. I think that's a sign..
You may have read about it or even seen it on the news - March 13, 2009, aka "Pink Friday," the day teachers gathered to protest the pink slips many are receiving because of layoffs brought about by the faltering economy. It is indeed unfortunate that many have to lose their jobs like that - good teachers are hard to find. Of course if any bad teachers got the ax, then fine. Their union makes no distinction between the two so I imagine it was a roll of the dice as to whether it was a good one or bad one that got let go. Anyway, the wine industry is having its own Pink Friday this coming March 20, 2009. It is a day to pop open a bottle of white zinfandel because that's pretty much all we can afford these days until the economy improves. So remember: this Friday March 20 is Pink Friday for the wine folks. Yesterday I announced my comeback after being rescued with a small allocation of Economic Stimulus money from the Obama administration and let me tell you, I am hard at work to bring back One Wine Per Week to the same status it was before I went broke. Uh, that is, I guess I am actually closer to that status than I thought because $800,000 seems to disappear pretty quickly. I guess I had better start tasting some wine before I have to ask for another bailout. Anyway, during my time of dormancy I kept getting notices from Twitter that one then another Twitterer was following me. This despite my not having posted any Twits since June 24, 2008. As of this writing I am following 68 people (at least I think they are all people.. oh wait, there are 67 people and 1 Budo Kun) and have 158 following me. That means my TQ (Twitter Quotient) is .43. In case you don't know how I computed this, it is simply the number of people and Budo Kuns I am following, divided by the number following me. I would say that you should strive to have a TQ no higher than 1. I suspect there are a few Twits who have astronomically high TQ's though, in the range of 1,000 or more. For those of you who do have such high TQ's, what is wrong with you?? Get a life!! How can you possibly keep up with that many things all day?? Why would all these people add me to their list to follow when I haven't made a peep since June? Is it like expecting Elvis to come back? Anyway, serious time here: for real - I just had a bottle of 2007 Chateau Margui Blanc and it was really really good. Clean, crisp, vanilla, apple and citrus with a Burgundian nutty character as well. Good acidity, nice weight and a long finish. This was a blend of Vermentino and Ugni Blanc. Sure did taste good! Wow, was the last time I posted anything way back on December 23??? Well hello again! I am sorry, I must profusely apologize for my long absence. The truth, I am embarrassed to say, is that I uh, went broke. I showed up to the 2005 Bordeaux and Burgundy party too late and was unable to purchase any futures in this great vintage. I hate getting left out, though, so I came roaring back by buying futures in the 2006 and 2007 vintages, full speed ahead without regard to the cost. Then the bottom fell out of our economy. I was left with a bunch of worthless futures. And bills to pay and commitments to keep and, well, like I said I went broke. With much chagrin I went hat-in-hand to the Obama administration and requested my fair share of bailout/stimulus money to get back on my feet again. I said I was sorry and I won't do it again. I will be good this time. Lo and behold, a few days ago a check for $800,000 appeared in the mail! (You would think that they would send it certified or express mail, but oh, well) Since it was drawn on Citibank I rushed to cash it and now ol' Monkuwino is back in action! Thank you Washington!!! So where, you may ask, are the wine reviews? Be patient, my friends. First I have to get in the proper mood to begin writing again. That means assembling the proper tasting environment this time - not just sitting at my desk slurping down wine from paper cups like I used to do while I typed a bunch of nonsense on my keyboard; rather, I have ordered some classy digs in which to properly taste the fine wine I plan to tell you about in the near future. Glassware, furniture, wine cellars, preservation systems, cars in which to go to the store to buy these things - all of this is necessary in order for me to not have to go crawling back to ask for more money (although I am not leaving out that possibility). 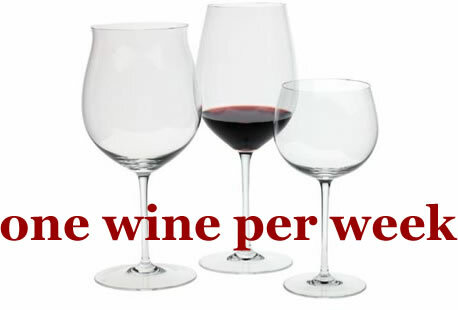 Give me a few days and One Wine Per Week will be up and running again!